This lovely award is passed to me by Pooja. Thank you pooja for passing me this award. I am very very Happy to receive this. I am overwhelmed. Once again thanks pooja for encouraging with your comments. I am passing this awards to my new friends lavanya, pooja, akals, ramya in words because they have already received this award from pooja ... so here are some new friends I wanted to pass this award. 1. Mahimaa's kitchen Her two blogs about food and regarding nutrition is also so good. 2. Prathiba She is also my new friend and I love the pictures and presentation in her blog. 3. Nithya of http://4thsensesamayal.blogspot.com/ also has lovely blog for the beginners started by freshers to share their experimental cookery. 4. 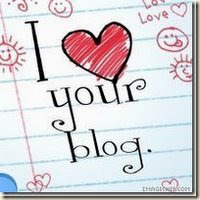 Aparna who is my follower and keeps commenting on my blog, her blog is also so good which I started visiting recently. There are many blogging friends to whom I can pass this but page is not enough to hold this list. And each blogger has different talents and I admire everyones work. So please accept this and I again thank you all for your wonderful support. I had to blink my eyes twice when i read the message about the award...Hurray!!! !finally i received an award...Ofcourse this is the first award for me..thanks a lot pavitra.. Thanks a lot for your lovely words tooooo!!!! n Congrats for your award!!! congrats on your awars pavithra..
Congrats on ur award pavithra! Thanks pam, prathiba, lavanya and vandhana. Prathiba ur so welcome and u deserve it. Congrats and thanks for accepting it pavithra..